Flatulence is a normal process by which the body expels gases from the lower intestinal tract. A source of embarrassment in polite society, passing gas is often considered abnormal and a sign of ill health by many people. Yet the average healthy adult produces one to four pints a day, and passes gases about fourteen to twenty-three times a day, which is an indication of a well-functioning digestive system. If you are passing more than this amount, it is probably due to certain foods that you are eating or some other imbalance to your digestive pattern. Excessive gas can cause discomfort and bloating, and the sales of digestive remedies attest to the prevalence of finding relief in our society. Blame it on the zillions of microscopic organisms that live in your colon, often called the large intestine. 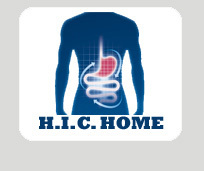 Your colon is called home by harmless bacteria that live off your system by breaking down undigested food and releasing gases. But before the food enters the colon, enzymes in the stomach and the small intestine have worked on your food, releasing nutrients to be absorbed by your blood. But carbohydrates from sugar, starch, and fiber in food often remain undigested because of a lack or shortage of enzymes, whereas fats and proteins are easily broken down. This undigested food then moves into the colon where bacteria break it down and produce gases. Carbon dioxide, oxygen, nitrogen, hydrogen, and methane, which are odorless gases, are released from this undigested food. The bad odor of flatulence comes from small amounts of sulfur that are released in the process. Another source of gas is swallowing air, which everyone does in small amounts while eating and drinking. If you eat or drink rapidly, you can swallow large amounts of air increasing the amount of gas in your system. All in all, digestion processes vary from person to person; while some people produce little gas, others will produce a large amount from eating the same foods. Flatulence and the food you eat. People who are lactose intolerant produce more flatulence because their bodies cannot digest lactose, and it moves to the colon where bacteria feed on it. 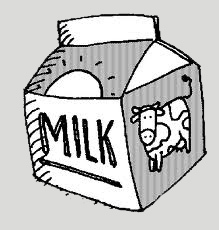 Lactose is a natural sugar found in dairy products such as milk, cheese, and ice cream, and it can also be found in certain processed foods such as cereal, bread, and salad dressing. Usually, people with this syndrome have diarrhea and cramping along with the gas. Lactose intolerance is more prevalent among people with an African or Asian background who have low levels of the lactase enzyme needed to digest lactose. In addition, lactase enzyme levels decrease in most people as they age, causing them to produce more gas from foods containing lactose. What can be done about excessive gas? Avoid gas-producing foods and try to identify the foods that are most troublesome to your system. Using a food journal to record what you eat daily can be helpful. Use digestive enzyme supplements which can be bought over-the-counter to aid your digestion such as Beano. Use activated charcoal tablets to relieve gas in the colon. Tablets can be taken before and after a meal to reduce intestinal gas. Try lactase enzymes if you suspect a lactose intolerance problem. Lactaid, Lactrase and Dairy Ease are some brand names which can be bought without a prescription. Avoid behaviors which cause you to swallow air, such as chewing gum, smoking, eating hard candy, or wearing loose dentures. Don’t overeat which contributes to overloading your system and creating flatulence. If the odor from flatulence has been a problem, some people have used charcoal-filtered undergarments with some success. Consult your doctor about prescription medications. Flatulence is the normal process of expelling gas from a healthy digestive tract. If you believe that you do have excess gas, consider all the sources of your problem. Try to identify the foods by keeping a close track of what you eat, and then remove the gas-creating culprits from your diet. Also, digestive enzymes can be utilized to help digest food that would otherwise be moved along unprocessed to the colon. Understanding the causes and seeking ways to reduce symptoms will help you find relief for excessive flatulence.